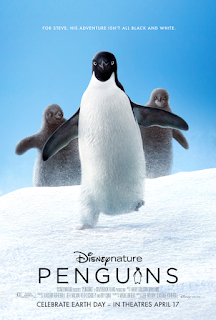 Home » Past Screenings » Disneynature’s PENGUINS Advance Screening Passes! Disneynature’s PENGUINS Advance Screening Passes! Do you want to see Disneynature’s PENGUINS before anyone else? Learn how you can see an Advance Screening to see it before anyone else. Narrated by Ed Helms (“The Office,” “The Hangover” trilogy,”The Daily Show with John Stewart”), Disneynature’s all-new feature film “Penguins” is a coming-of-age story about an Adélie penguin named Steve who joins millions of fellow males in the icy Antarctic spring on a quest to build a suitable nest, find a life partner and start a family. None of it comes easily for him, especially considering he's targeted by everything from killer whales to leopard seals, who unapologetically threaten his happily ever after. 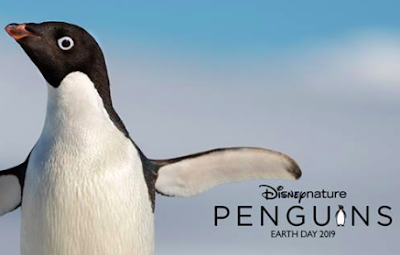 Disneynature’s PENGUINS opens in theaters and in IMAX® April 17, 2019.